Why should shops, businesses & companies join BeepXtra? BeepXtra is FREE to join and interlinks a network of businesses / stores globally. BeepXtra is a revenue generating system that is taking the world by storm. This video shows how stores, business and companies can benefit from being apart of BeepXtra! Watch this video and see the power that is BeepXtra and how we can increase your revenue! 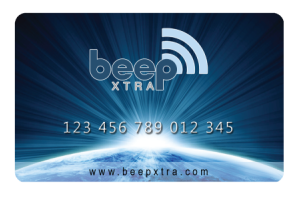 Beepxtra is a cloud based discount loyalty card system created for the retail market that is financially rewarding for business owners and their customers. Most businesses values their customers support and are aware that in house loyalty systems work to keep their customers returning, but the problem is when their customer stops spending with them, their business stops earning any money. This is where Beepxtra Cards stands head and shoulders above other loyalty card systems because giving your customers beepxtra loyalty cards and registering them as Beepxtra members guarantees that your business earns a financial reward every time your customer spends in any another retail outlet in the world, that are a part of the Beepxtra community. Beepxtra has millions of customers registered so this also brings lots of new customers to you business looking for your type of business through Beepxtra’s online search engine. Apart from a small integration fee for business owners only, Beepxtra is FREE. So don’t miss out on the fantastic Beep xtra business opportunity, contact us now and leave your details and we’ll send you an invite code and we will support you all the way.. This video is a business invitation video from Beepxtra. 2. Business owners who are small to medium enterprise manufacturing goods for sale to the purchasing public. That is virtually all businesses and you simply would not have received this invitation if our distributor didn’t think you were a match for Beep. Beep is at the forefront of merging the online internet commercial world with the offline business world, our goal for you simply is to help you increase your turnover and profits for virtually no price. Joining Beepxtra is free there are no maintenance fees; they are genuinely trying to make this very easy for you to work with us on a global stage. Before you accept this invitation Beepxtra simply ask you to acknowledge by ticking the human contact button, that you have spoken to the distributor who sent you this invitation as Beepxtra don’t wish this to thrown at you like spam or junk mail. For no charge Beep can bring your business new customers, who are looking for you, For no charge Beep can give you access to the Beep Worldwide product & services targeted customer search facility. Beep have a millions of viewers for you for free. For no charge you can earn an income from any other business in the World, that you choose to introduce to Beep, even businesses that you may view as traditional competitors may now become your allies. All you do is give your clients our free magnetic cards from Beep registered to your business so that wherever the card travels around the World you earn from whatever is spent, in other Beep outlets. So what do you have to do get started? Look at what your business sells even if its hundreds of things and decide what affordable discount you can apply; let me explain…………..
You have one of your products that you know you can discount for 20% and still make your maths work, clients pay full price and the 20% is loaded onto the Clients Beep card as cash back discount, all Beep charge is 2.75% that’s it. The Beep Xtra system is easy to use & does all this for you. All you have to decide is what discount works for you. The next product is more expensive to you so you can only operate on a 5% discount to make your maths work so 5 % is the cash back on the Beep card and 2.75% is our flat rate fee; very simple and massively effective to you, why? Well let me repeat the above benefits………..
Beep have customers who specifically search for local businesses who trade with Beep, you get this FREE. Beep have customers from outside your area and our system is so smart it often knows where they are even if they are close to you, even if they can’t find their way to your premises our system will convert to a mapping tracking device and literally walk them through your door. Even if you don’t have a website Beep have a targeted product search facility that ensures people who are looking for you find your business. You can introduce other shops from anywhere in the world to this system for free and earn income from their sales. All you need to do is register for free and link your payment system to the Beep worldwide shopping and trading system, which costs just a handful of dollars. Now you may say I’m just a manufacturer of products what’s in it for me………..
well, how about advertising with beep for free, yes that true for free. you would be crazy not to be inside the BeepXtra stores search system. So you guys just manufacturing and looking for customers, you can have ours as long as you give a discount that you can afford. The world’s economy works not on just total trade and total turnover, economics is more complex than that, the world economy works on velocity, slow trade leads to stagnation & poor cash flow & stoppages. Fast velocity is the opposite a very slightly reduced price can lead to increased turnover and great velocity, a positive trading cycle that the world needs right now. some businesses will have no advertising costs at all because of working with Beep, but at just a few dollars for integrating with us, it is hard to imagine even in the minds of the most jaded of business owners that working with Beep won’t improve at least one section of your business. so if you do your maths right the discount you give will be less than the amount you now save in reduced advertising; so your profits could increase just on that one factor. Is beep xtra a scam? So go ahead click the accept invitation button, and see what a world of business Beepxtra can open up for you, just integrate for a few dollars, everything else is free, free registration and free customers.